As users of the Cloud Fleet Manager might already have noticed, we added a “What’s New?” tile to all our modules. As users of the Cloud Fleet Manager might already have noticed, we added a “What’s New?” tile to all our modules. We implemented this feature to enhance our “What’s New Report” and provide users of the CFM with the most relevant information right where the magic happens. Did you ever wonder “What happened in my favorite module?” There is no need to do that anymore. As soon as there are changes or updates in a module, you instantly receive a notification. Simply check the little package-icon in the top right corner and you'll get a quick overview about everything that happened since you last logged into CFM. This way you are always up to date regarding the latest features and enhancements. 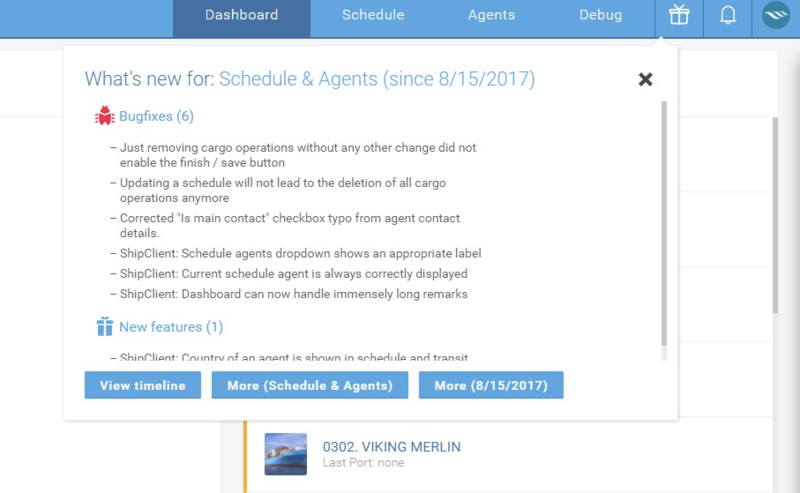 To gain even more insights about recent changes you can simply select the timeline view and get a comprehensive overview about all changes, improvements as well as new modules. To make this more comfortable you can simply switch between timeline view, a detailed changelog history for all modules or get the complete history regarding certain modules. Make sure to regularly check the “What’s New?” tile, visit our new features page or simply follow us on Twitter or LinkedIn and never miss out on any news.